This is solid advice. But one thing I learned in France is that many of the elements that abet or discourage this kind of discipline are cultural. The US is an unapologetic debt-driven society: financial education isn't something we teach youth, solutions to social problems tend to be consumption-driven, and basic things like higher education, renting a car, and achieving crucial societal milestones are nearly impossible to attain without credit. And let's not forget our revolving credit system, which encourages people to accrue debt that you don't (and eventually can't) pay off right away in order to improve your FICO score -- the number critical to cultivating your financial reputation. A FICO score could stand between you and an apartment, or even a cell phone. Curiously, your FICO isn't improved by demonstrating an ability to manage money well. It only rises if you manage debt well. We have effectively made debt a cultural necessity. 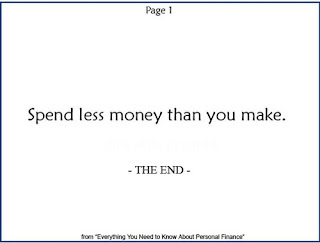 It's important to learn how to spend less money than you make. 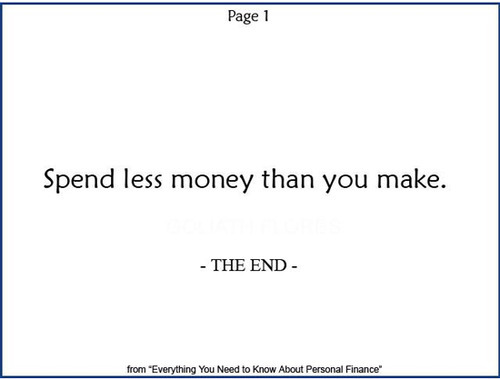 It is crucial to building wealth. But when a society values accruing debt more than it values spending within your means, the game's rigged.